Software-centric solutions, like hyperconverged infrastructure (HCI), have emerged to deliver the flexibility, agility, and predictable performance that today’s users demand. But are they truly a more affordable and efficient alternative to traditional hardware-centric approaches? 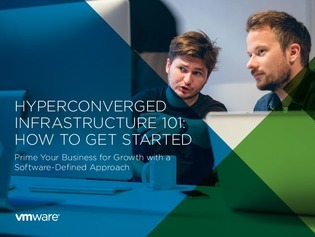 This e-book answers this question and serves as your primer on getting started with HCI, with guidance on how to put HCI to work for your business, 4 characteristics of a future-ready HCI solution, and an in-depth look at VMware’s approach to HCI. Your copy is waiting.